Asian food has its own taste. The flavour of this food is one of the popular in Australia. Each region of the nation has its own distinct food habit. Asian is influenced by entire Australian culture. This traditional homemade style makes Australians healthier and the dishes made with various herbs and ingredients which gives rich in taste. What’s online food ordering & how it works? Ozfoodhunter is the platform where you can surf and choose your preferred cuisine and place an order in easy few clicks. Asian has better choices were all range of people love it. Ozfoodhunter provides options for table Booking, delivery and takeaway. It has well secured payment gateway or can choose COD. 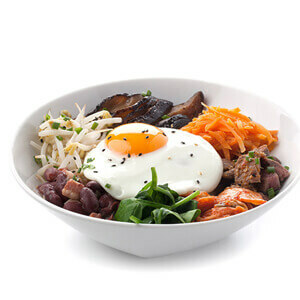 Once order is placed through ozfoodhunter.com.au users will get confirmation SMS and email. In Australia Pizza restaurants are available in Asian Delivery Hobart,Asian Delivery Brisbane,Asian Delivery Adelaide,Asian Delivery Sydney,Asian Delivery Melbourne,Asian Delivery Cairns,Asian Delivery Gold Coast,Asian Delivery Townsville,Asian Delivery Ballarat,Asian Delivery Armidale,Asian Delivery Perth,Asian Delivery Canberra,Asian Delivery Northern Sydney,Asian Delivery Stonnington,Asian Delivery North Canberra,Asian Delivery Gosnells,Asian Delivery Bendigo,Asian Delivery Sans Souci,Asian Delivery Hervey Bay,Asian Delivery Gladesville,Asian Delivery South Morang,Asian Delivery Turramurra,Asian Delivery Victoria, and so on.